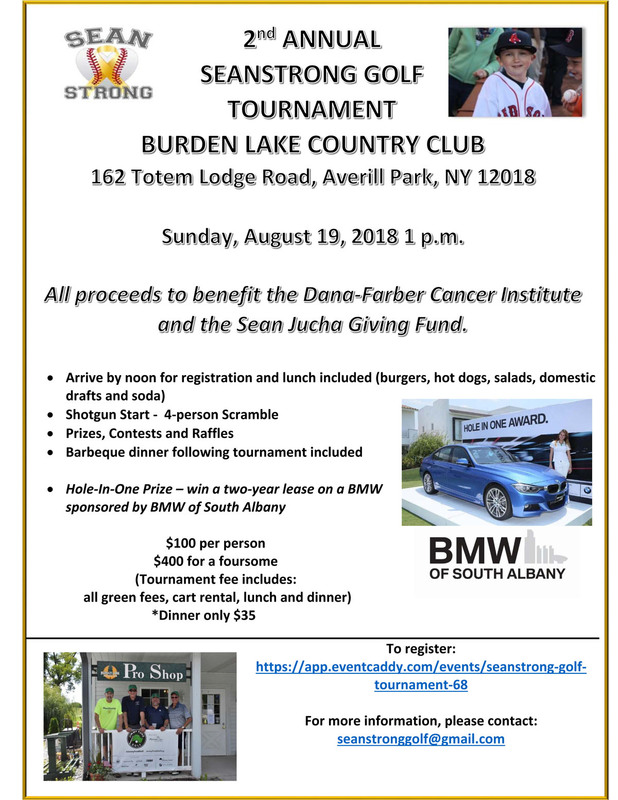 Registration is now open for the 2nd annual SeanStrong Golf Tournament on Sunday, August 19 at Burden Lake Country Club in Averill Park. The charity tournament includes a team scramble, lunch, dinner and prizes, and will benefit the Dana-Farber Cancer Institute in memory of Sean Jucha. Sean was a Goff Middle School student who passed away in 2016 following a long battle with cancer.